We will add to this repository groups of articles from time to time. To keep yourself updated with new additions and changes join our mailing list. Please enter your name and e-mail address below. Who wants to go to the other shore? This time, search your own house.. When will you be united with the Man of my Heart..
Everyone wonders, "What's Lalon faith?" An essay containing translations of many songs. That little drop of dew! A translation of Buddhadeva Bose's Mahabharater Katha. A translation of Buddhadeva Bose's memoir of his visit to Rabindranath and Santiniketan, Sab Peyechhir Deshe. An extract from the "Bengali diasporic" novel, translated by the author herself. Extracts from the translation of Ashapurna Debi's famous Bengali novel Pratham Pratisruti. Collection of 34 well-known poems by Jibanananda Das, translated with an Introduction by Clinton Seely. A review of three recent titles on children's literature. A review of two collections of short stories. 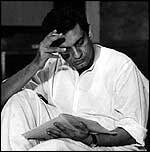 Review of two translations of Satyajit Ray's work. Workshop style review of No Symbol, No Prayer by Vijaya Mukhopadhyay, a book of poems translated from the original Bengali by Carolyne Wright, Paramita Banerjee, and Sunil B. Ray. Review of French Lover, translation of Taslima Nasrin's fiction Phorashi Premik. Review of My Girlhood- An Autobiography, translation of Taslima Nasrin's Amar Meyebela. Review of Lured by Hope : A Biography of Michael Madhusudan Dutt, translation of Ghulam Murshid's Ashar Chholone Bhuli. Review of the translation (with an introduction) by Ketaki Kushari Dyson. Review of the translation (with notes) by Hiten Bhaya. 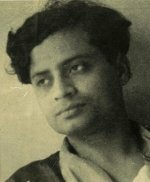 Review of Upendrakishore Rauchaudhuri's stories in three books of translations (by William Radice, Madhuchchanda Karlekar, and Swagata Deb). Reflections on Clinton B. Seely's Translation of Meghanad-Badh Kabya. written for the 18th. European Conference on Modern South Asian Studies, Lund, Sweden, 6-9 July, 2004.
Review of a recent translation by Julius J. Lipner of Bankimchandra Chattopadhyay's famous novel. Review of a recent translation by Shankar Sen. Reviews of (a) A difficult friendship: Letters of Edward P. Thompson and Rabindranath Tagore, 1913-1940, (b) Rabindranath Tagore: A Biography, and (c) Rabindranath Tagore: my life in my words. Review of Man of the Heart, a play written and performed by Sudipto Chatterjee and directed by Suman Mukherjee. Review of the classic Bengali children's novel Gonsaibaganer Bhut. Review of Maitreyi Devi's Mungpute Rabindranath, translated as Tagore by Fireside..
Review of Kaliprasanna Sinha's The Observant Owl: Hootum’s Vignettes of Nineteenth-century Calcutta, translated from Hootum Pnyachar Naksha..
Review of Lila Majumdar's The Yellow Bird, and The Burmese Box: Two Novellas. Review of Saratchandra Chattopadhyay's The Final Question. Review of Michael Collins' Empire, Nationalism and the Postcolonial World: Rabindranath Tagore’s writings on history, politics and society. Review of Sabyasachi Bhattacharya's Rabindranath Tagore: An Interpretation. Review of Tagore at Home in the World, ed. by Sanjukta Dasgupta and Chinmoy Guha. Review of a selection of short stories by various authors translated by Sanjukta Dasgupta. Review of Hindu Widow Marriage: An Epochal Work on Social Reform from Colonial India; by Ishvarchandra Vidyasagar; A complete translation, with an introduction and critical notes by Brian A. Hatcher.